Because what you see, is a living story over the centuries. That you can listen effortlessly from the old man. Smell the beginning of a journey full of fragrance, in the past and the present. Touch the end with your fingers; pour some fruit over your hand. Be the protagonist of this story. Do not hesitate. We left the last page intentionally blank. God has blessed our land. God has blessed the ground, has sent the air, has given us water. Our land is our canvas. Our fruits remain our paintings. That is how we created our olive grove. Our ancestors planted the very first trees, back in the beginning of the previous century, putting their great efforts. 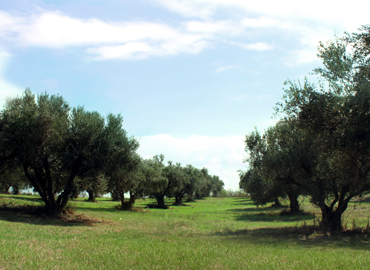 Unlike other olive groves, the distance among our trees is long, leaving a huge space for their rooting zone. makes our olive grove unique. 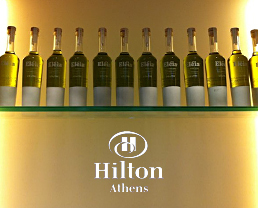 Over the last years, more than 40.000 olive trees have been planted making our olive grove the biggest in Greece. Our painting has grown big and shall be waiting for you. To take a stroll, to feel it, smell it and taste it. As our land taught us the meaning of respect. As nature shook hands with our ancestors. The olive tree is our mother. 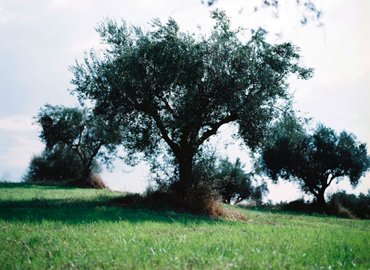 The olive tree has memory, feels and remembers. Has a family that lives, breaths and speaks. 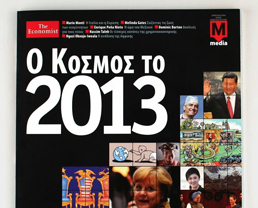 I was born in 1979, in Athens. I spent ten years studying and working in Germany and the United Kingdom. and lived close to diverse cultures. Have tried world's most tasty cuisines and still keep on trying new ones, whenever the opportunity arises. Several years ago I decided to return to my homeland, Lechaina Elias, with the goal to invest and live again in our family house close to my grandparents. 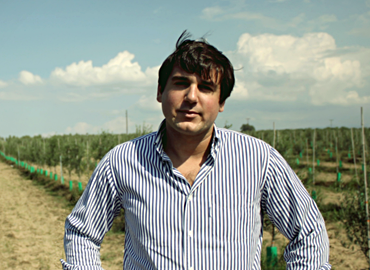 I wanted to listen to their stories once again, to smell our fields and above all work with our olives and our pure extra virgin olive oil. Our legacy remains important and leads our way to the future. My personal target is to couple the perennial fruit with today's nutrition. 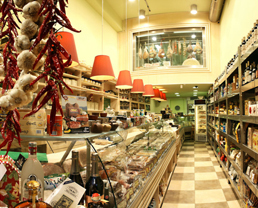 Visit our place. 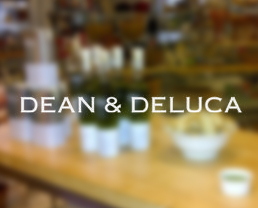 Smell our olives, feel our ground. If you are not near, talk to us. Learn more abour our product. 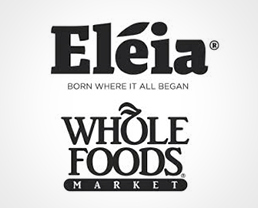 Eleia now available at Wholefoods! 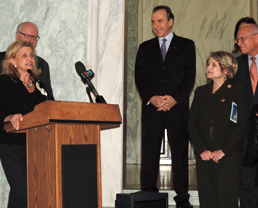 Eleia Goes To Congress! 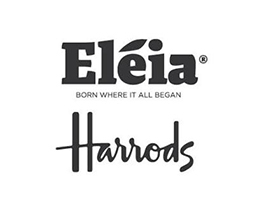 The "Greek Diet Goes to Congress" event was organized by the Embassy of Greece in Washington in collaboration with US Representatives..
We're THRILLED to announce that Eleia is now available @ Harrods!! 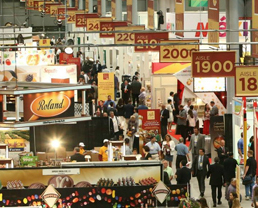 North America's Largest Specialty Food & Beverage Event will be held in New York City! 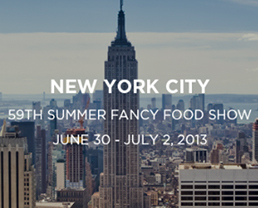 Find us at Hall Level 1, Stand #3725! 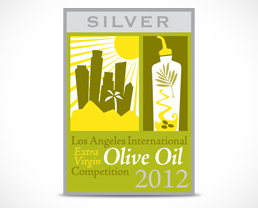 Silver Medal for "Eleia" at the Los Angeles Olive Oil Competition! 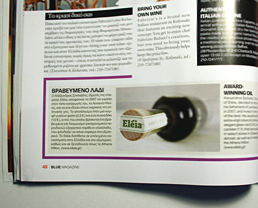 "ELEIA" grows wings in the AEGEAN airlines magazine "blue". 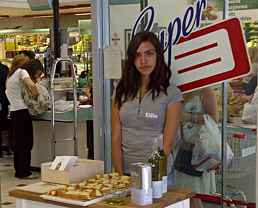 New points of sale: Eleia products are now available at Oliviers & Co Shop, at Degustation Delicatessen shops and at the Ηπειρώτισσα SuperMarket. 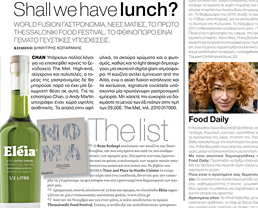 The renowned BHMAGourmet dedicates its November issue to olives and suggests olive oils that fulfill its philosophy. "ELEIA" was one of them. 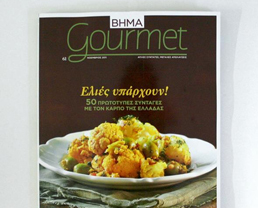 One of Greece's most reputable gourmet magazines, "Gastronomos" meets Eleia. The usual suspect "Eleia" looks really chick and fresh in the November issue of Vogue. 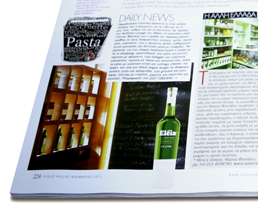 "Eleia" glows in the November issue of the lifestyle Magazine "GLOW". 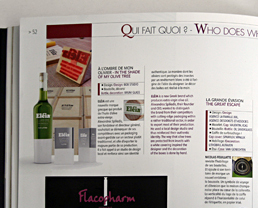 The well respected french magazine Formes de Luxe - the magazine of the luxury packaging hosts "ELEIA" in its November issue. 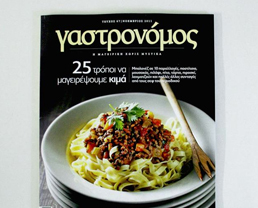 Eleia now available at ΘΑΝΟΠΟΥΛΟΣ stores combined with daily food testing sessions. Join us! 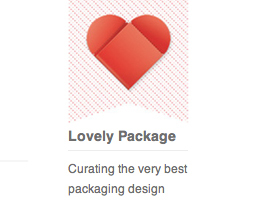 Lovely Package: They love our packaging! Thank you! 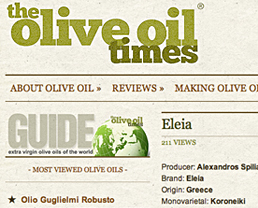 The Olive Oil Times: A testimonial on Eleia product. Thank you! 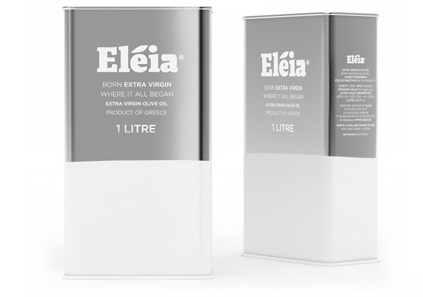 A sincere tap on the shoulder for Eleia! 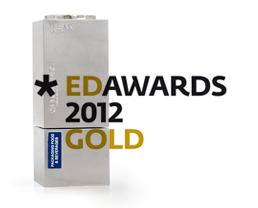 We feel honored! 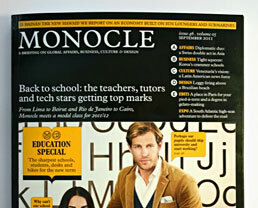 Thank you Monocle. 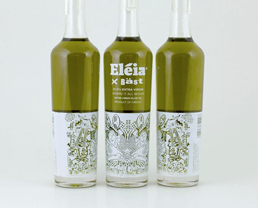 "A ray of sunlight, made out of Greek Premium Extra Virgin Olive Oil, in the Greek sky! 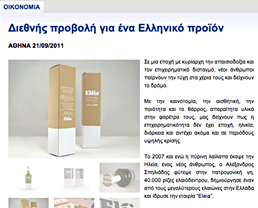 "Eleia" on Nooz.gr.